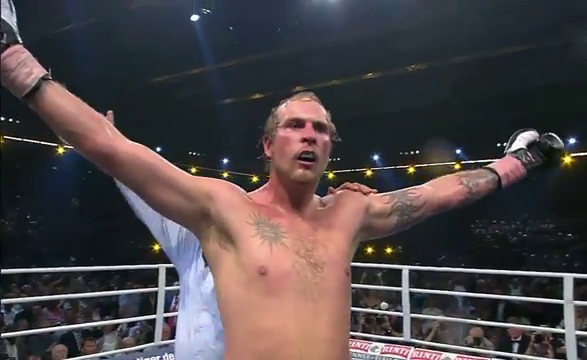 The undefeated heavyweight boxer from Finland Robert Helenius stops Siarhei Liakhovich of Belarus via technical knockout victory in round 9 at the Messehalle, Erfurt in Germany on Saturday night fight for the WBA/WBO Inter-Continental Heavyweight Title. Siarhei Liakhovich starts working the left jabs and body shots targeting the right section of the body of Robert Helenius in round 1. 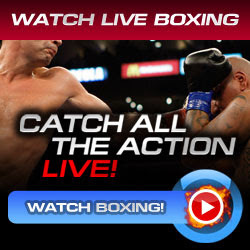 The fight was the same in round 2 as Liakhovich still working on the body shots and in the final seconds Helenius connected a good right straight backing off Liakhovich on the ropes. In round 3, the fight goes to Robert Helenius as he landed more accurate shots and some uppercuts while the left eye of Liakhovich started to inflame and bloody round for him. Starting in round 4, the two guys shows their great conditions as they exchanged hard punches. Body shots and combinations for Liakhovich and overhand straights and uppercuts for Helenius. In the last 20 seconds of round 8, Helenius throws the strong left hand, follows up by a strong left-right combinations and two right hard straights which sent Sairhei Liakhovich down on his knee and he was saved by the bell. At round 9, Robert Helenius throws again a quick hard combinations against the hurt Siarhei Liakhovich. The solid left uppercut and left-right combinations to the head sent Liakhovich down again. He was totally hurt and the fight was stopped by the referee. If you really look at the fight, Siarhei Liakhovich dominated it all as he connects the body shot always and more accurate jabs. He's not just lucky tonight. Robert Helenius showed a great fight, no doubt about that just looking on his records and exciting fight if he will be given a privilege to challenge the Klitschko brothers.